Iran said Saturday it is investigating the reported defection of one of its diplomats in Norway. Iran said Saturday it is investigating the reported defection of one of its diplomats in Norway, with a spokesman suggesting it was due to personal problems, Mehr news agency said. "Despite completing his mission, an administrative staffer at our embassy in Oslo has not yet returned to Tehran due to some personal problems, such as his child's education and family problems," said the foreign ministry's Ramin Mehmanparast, according to AFP. "The issue is still being pursued," the spokesman said in a statement, adding the diplomat's mission was over and his successor was sent to Norway "a while ago". He did not name the diplomat nor did he elaborate further. Joergen Loevdal, the diplomat's lawyer, said on Friday that his client, who wished to remain anonymous, did not want to "comment in public on his reasons for doing this." Posted to Norway in 2009, "the man is now seeking asylum," Loevdal said. The Iranian embassy in Oslo did not comment on the issue when contacted by AFP on Friday. The man is the fourth Iranian diplomat have sought protection in a Nordic country in three years. Iran had rejected claims that the previous defections were politically motivated, despite reports suggesting the diplomats sought asylum to join opponents of President Mahmoud Ahmadinejad's 2009 disputed re-election and to protest human right abuses. 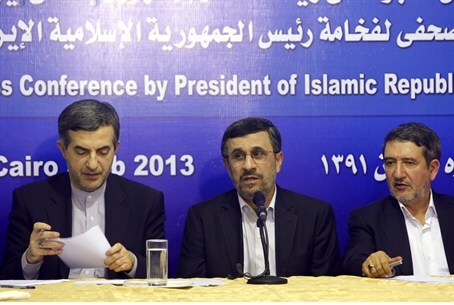 An Iranian MP had accused the three diplomats of having mental problems.